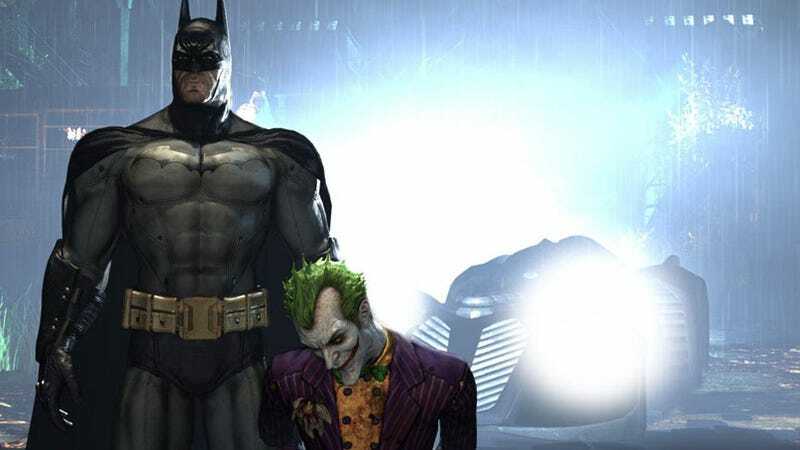 According to "sources close to the game", the upcoming Batman: Arkham Asylum has been pushed back from its planned June release date to sometime later in the year. Speaking with Game Informer, the sources reckon the game will instead ship in the "fourth quarter of 2009". Apparently neither of the game's co-publishers, Eidos or Warner Bros., were willing to comment, which is interesting. If this rumour turns out to, it's a strange decision. The game is awfully close to release, to the point where demos have been playable at GameStop stores across the US, so to delay it so late in the game begs the question: have Square, who recently finalised their takeover of Eidos, had a say in the delay, even though they're not publishing? We've contacted Eidos for comment, will update when/if we hear back from them.